LensPacks is an innovative and easy-to-use Velcro lens cap system that allows for quick camera lens changes so that you can capture every special moment. 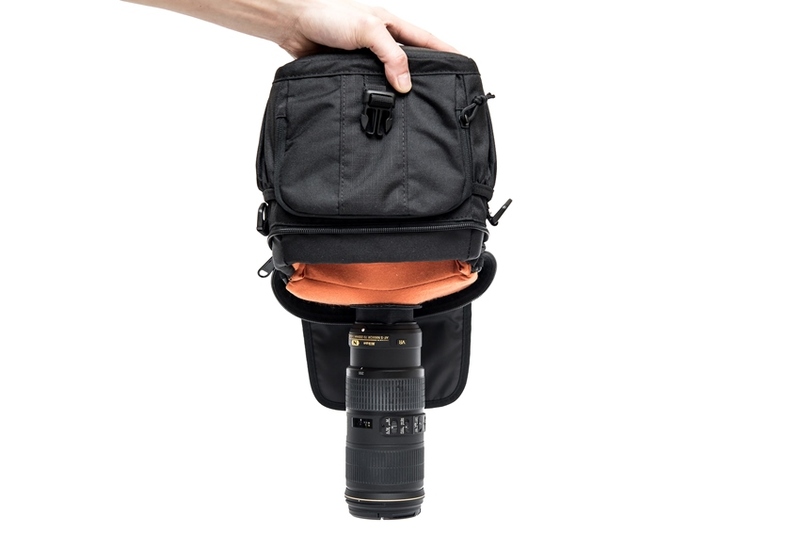 It works with virtually any camera bags. Whether you are a professional photographer that works in a studio or a casual photographer that enjoys taking outdoor photos, LensPacks quick change camera lens caps cater to everyone with more than one camera lens. With the wide Velcro® base, LensPacksTM quick change camera lens holder is engineered to hold virtually all camera lenses with ease in any orientation. Organize your camera bag to fit your needs. Position shorter lenses upright to save space and fit taller lenses sideways. LensPacksTM quick change camera lens holder currently works with these lens systems: Nikon, Canon, Sony E-Mount, Micro FourThirds, Fujifilm X-Mount, and Pentax K-Mount. Support for other manufacturers is in the plan for the future. LensPacksTM quick change camera lens holder complements LensRacksTM camera gear storage system perfectly. Don't sacrifice your lenses in exchange for quick lens changes. Have the best of both worlds. LensPacksTM quick change camera lens holder is compatible with literally any camera bag. 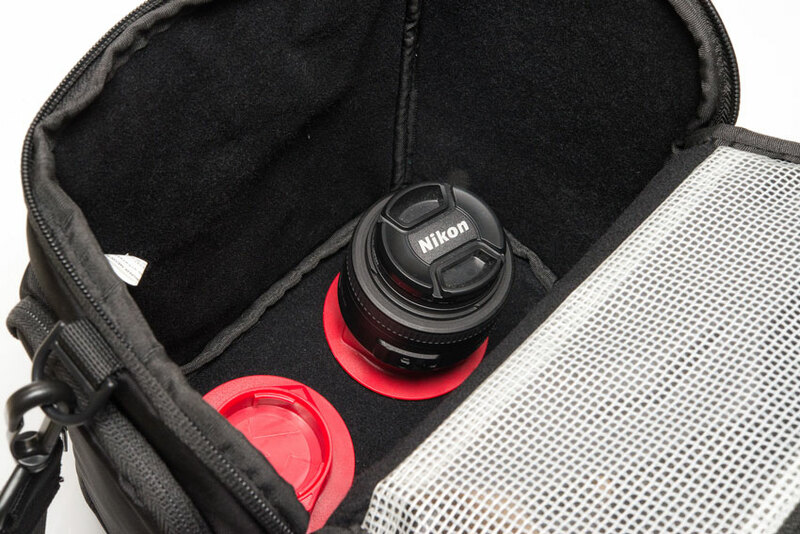 The Velcro® base will attach to the lining of most camera bags. For camera bags without Velcro-friendly lining, we offer hook and loop sheets that will ensure any camera bag is compatible with LensPacks. Be creative! LensPacksTM quick change camera lens holder can be mounted literally anywhere you can imagine! 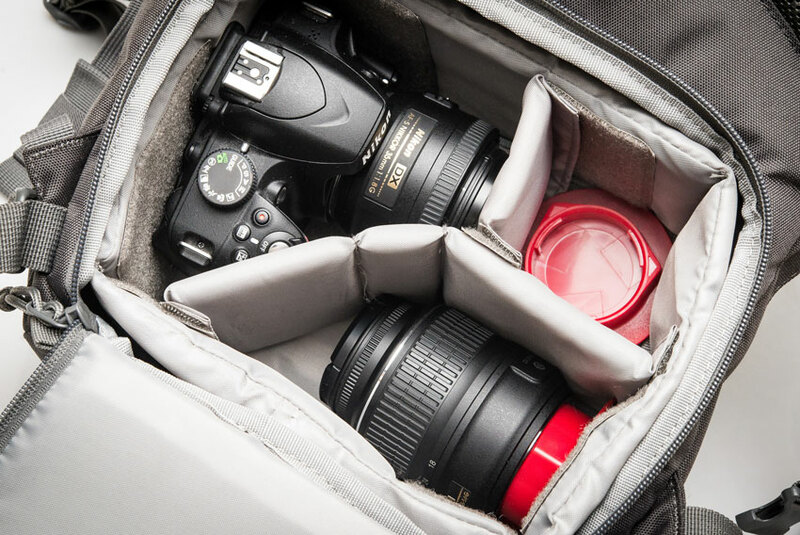 To ensure your camera lens does not move around, each LensPacks quick change camera lens holder has an oversized base to grip the camera bag securely. Underneath this large base is ultra strong adhesive-backed Velcro. To make lens changes even quicker, alignment markers are on each LensPacks quick change camera lens holder for quick and easy lens insertion. LensPacks quick change camera lens holder was designed to be as slim as possible to maximize the usable space in your camera bag. 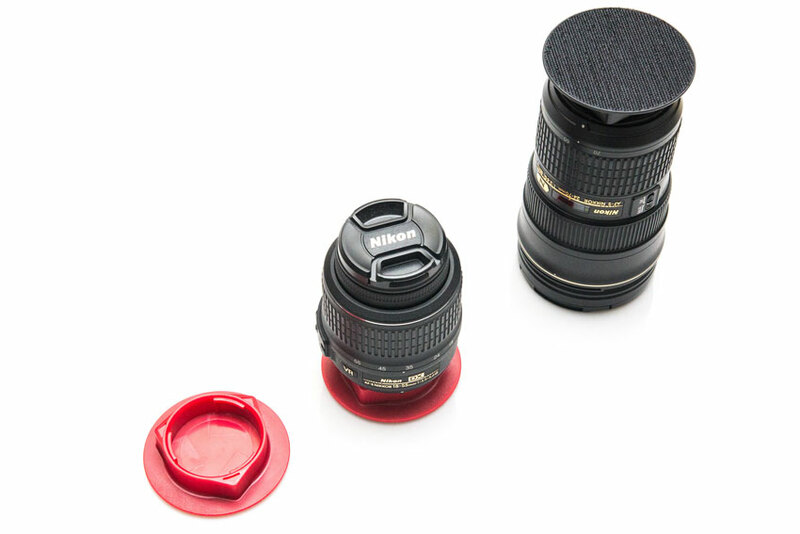 Designed with user-friendliness in mind, LensPacks quick change camera lens caps are easy to use. 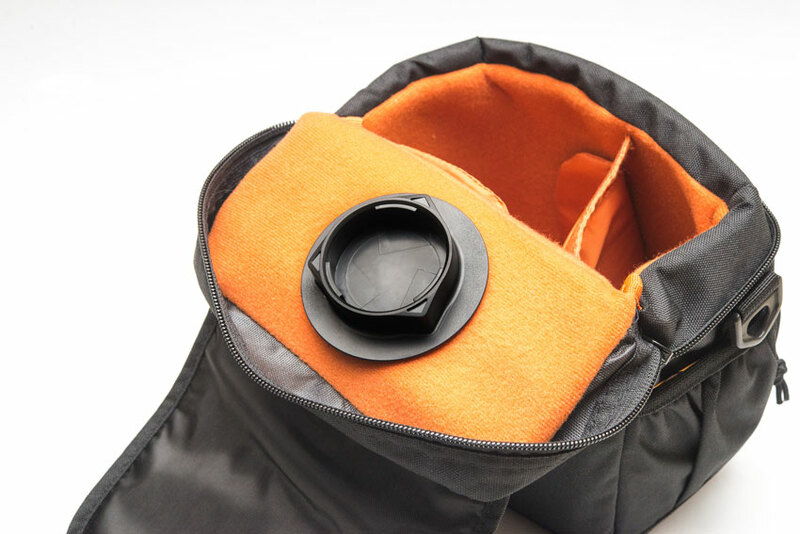 Use the Velcro fastener to attach LensPacks quick change camera lens cap at a desired location inside the camera bag. Insert the lens into LensPacks quick change camera lens cap and turn the lens to secure. 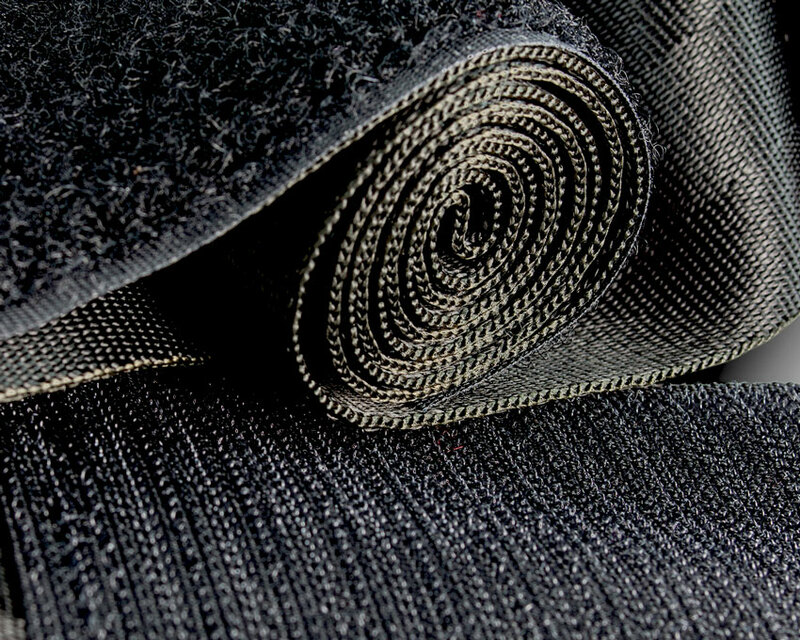 *For bags that do not have attachment points for Velcro® fasteners, we offer Velcro® sheets that adhere to the interior of your bag. The sheet applies to the bottom of your camera bag at any desired location. Please the "Products" section below. To meet demands of all photographers, we have the following LensPacks accessories available! The 6"x12" adhesive-backed Velcro® sheet ensures camera bags without Velcro-friendly lining is compatible with LensPacks quick change camera lens holder. Cut the Velcro® sheet to the desired size and place it in any location in your camera bag. LensPacks quick change camera lens cap was designed in the beautiful British Columbia of Canada by a group of mechanical engineers at Ansix Designs. The components of LensPacks quick change camera lens caps are manufactured in a factory which specializes in plastic injection molding. All LensPacks quick change camera lens caps are built by hand to meet our uncompromising standard and are shipped from British Columbia, Canada. 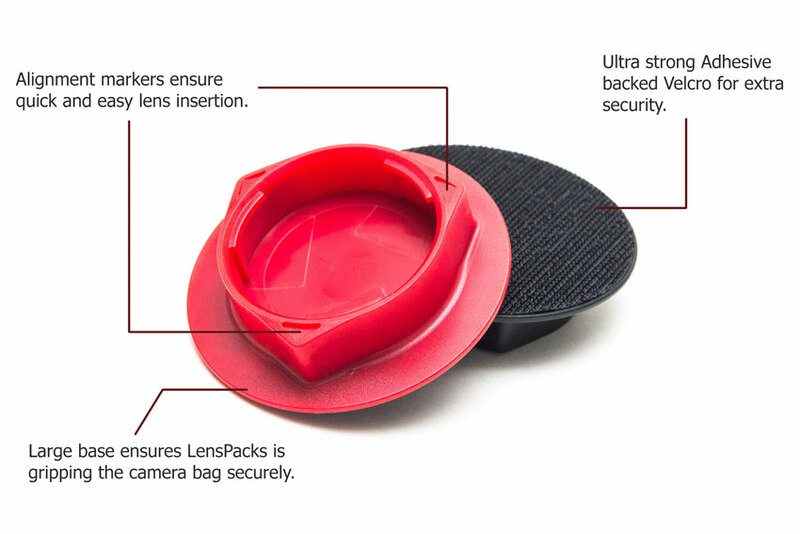 At the early stage of LensPacksTM development, we tested with just adding Velcro® to a regular rear lens cap. 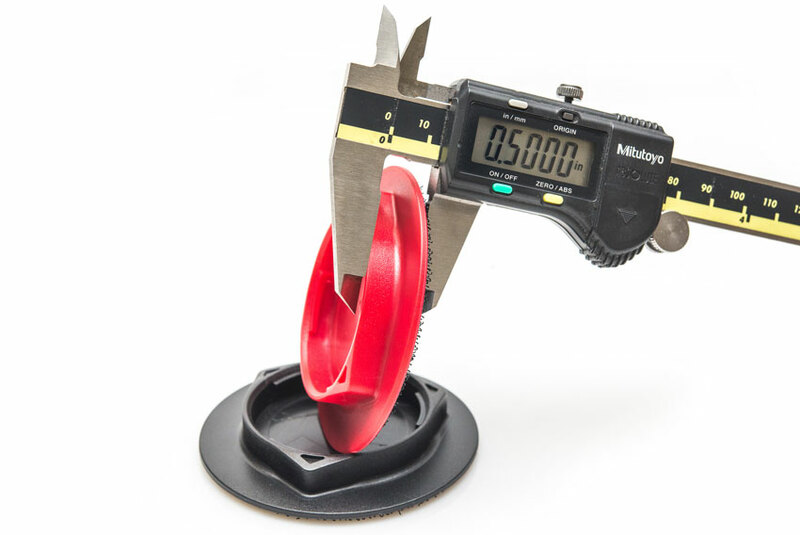 We quickly found this solution would not hold up to repeated use. We then developed a version with a larger base with threads for redundancy. The final version of LensPacks uses Velcro® with ultra strong adhesive, and includes features such as indication markers and chamfer for easy lens insertion. 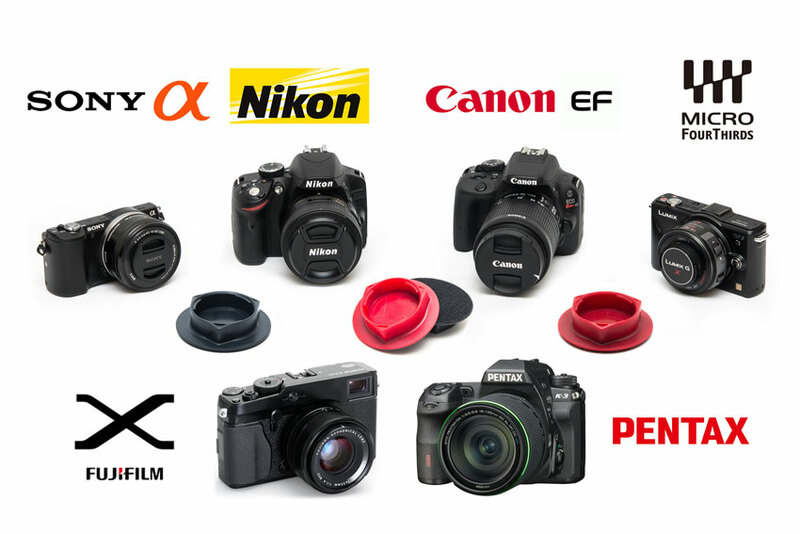 LensPacks quick change camera lens caps are available for purchase at our online web store. For international customers, you may purchase LensPacks through our authorized retailers below. LensPacks quick change camera lens cap was designed by the engineers at Ansix Designs in Canada. At Ansix Designs, we strive to design high quality products that are both affordable and useful. We are constantly looking for innovative ways to improve existing and to create new products, We believe there are always better, simpler ways to do things. We believe LensPacks quick change camera lens cap is a perfect example of our design philosophy. © 2019 LensPacks by Ansix DesignsTM.